To celebrate the International Women's Day, Taiwanese tech giant ASUS has come up with a surprise offer especially for the ladies in India. 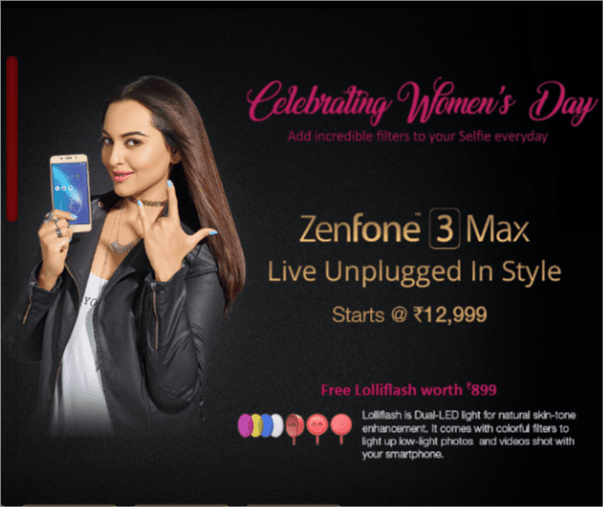 It is offering a free Asus Lolliflash worth Rs 899 with every purchase of its Zenfone 3 Max series smartphones by female customers. 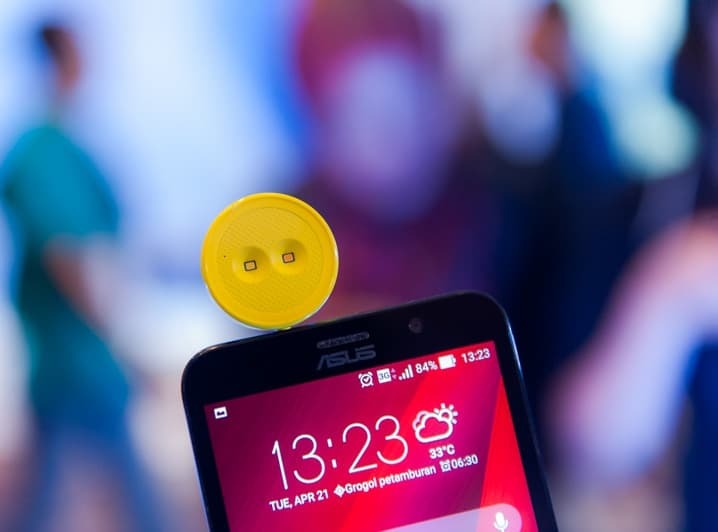 In case you don't know, Asus Lolliflash is basically a selfie-aid which looks like a lollipop. It is a dual-tone LED torch, that can be attached to your smartphone and used as a selfie flash for natural skin tone enhancement. Housing a built-in 65mAh battery that lasts up to three hours, it considerably improves the quality of photos and videos taken in a low-light environment via a smartphone or tablet. It also offers different color filters- White, red and blue along with Anti-Red-Eye and three brightness level settings to further spruce up the photography experience. Available in 5 vivid colors- White, Black, Blue, Yellow & Red and weighing only 8 grams it can easily sneak into the pocket and used for that neat selfie. The special offer is available only for Asus Zenfone 3 Max series smartphones comprising of Zenfone 3 Max 5.2, Zenfone 3 Max 5.5 and Zenfone 3s Max. All of these smartphones are available at all leading e-commerce portals and outlets in India. They feature an enormous battery life (4100 mAh/5000 mAh) with reverse charging capability, fingerprint sensor, sumptuous 3GB of RAM, 32GB of onboard storage and VoLTE support. Female customers can avail the offer while purchasing the smartphones at the ASUS authorized partner stores, till March 12, 2017, or till the stocks last. After completing the purchase of the smartphone, the buyer needs to register here by uploading the invoice copy. The ASUS back office team will the verify the registration details and upon successful verification and announcement to the customers, the Lolliflash will be dispatched to the buyer's registered address on 1st April 2017. Here are the detailed terms and conditions of the offer.